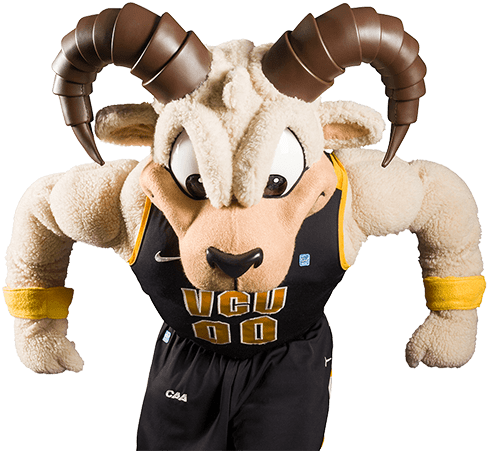 VCU wouldn’t be VCU without the arts, and neither would Richmond. Based in a city that’s known for embracing the arts, our graduate arts program is ranked No. 1 among public institutions by U.S. News and World Report. But it’s more than that. Our business school has an artist-in-residence. Our medical residents take sculpture classes to better understand the body. The newly opened Institute for Contemporary Art is drawing national attention. And each year we offer hundreds of performances, exhibits and screenings to the community. When our students graduate, they’re equipped with a creative mindset that sets them apart. The VCUarts Theatre Department produces four main productions a year, such as “Into the Woods” in spring 2018, while the student-run Shafer Alliance Laboratory Theatre puts on a slew of other productions throughout the year. Photo by Sarah Ferguson. Onlookers watch as a man twirls flames during First Fridays, a year-round art walk that takes place in Richmond’s Art District on the first Friday of the month. VCU dance students perform a new work by guest choreographer Helen Simoneau. Photo by Sarah Ferguson. Students helped School of Business Artist-in-Residence Noah Scalin create a portrait of pioneering businesswoman Maggie Walker entirely out of donated clothing. Fashion design students bring their sketches to glorious life at VCU’s annual fashion show in May, while their counterparts in fashion merchandising learn a thing or two about show production. Student musicians take a hint from the world of sports and use a motion caption lab and video footage to understand the mechanics of the way they play. Springtime at VCU means undergraduate and graduate student juried exhibitions. It’s not uncommon for a TV show or movie to be filming in Richmond, or even on campus (like “Homeland” in fall 2017), and for VCU students to be involved in the productions. 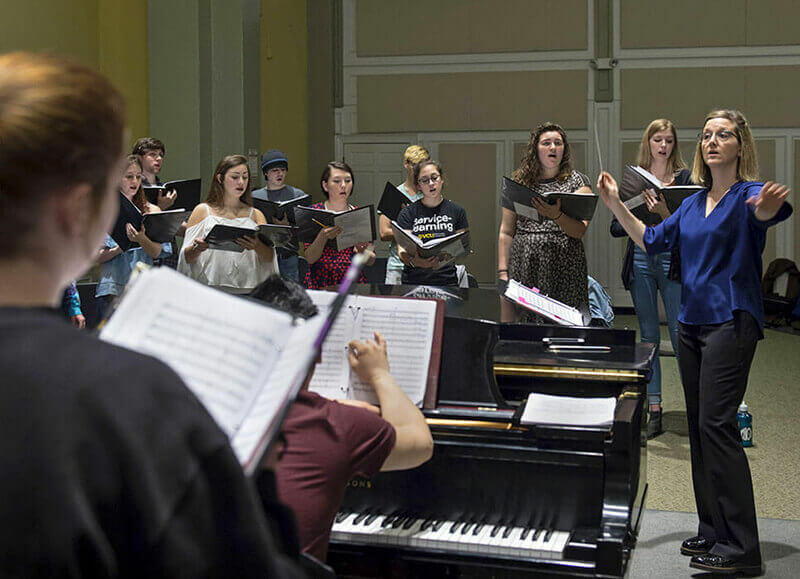 Dance is for the young at heart, which is why VCU students and faculty participate in PALETTE, an intergenerational arts program that partners students with senior adults in the community. Want to see what’s happening? The Institute for Contemporary Art is on a mission to spark discussion, trigger emotion and promote collaboration with provocative art, lectures and performances from local, national and international artists. VCU is forever proving that magic happens when you infuse art and creativity into other disciplines. 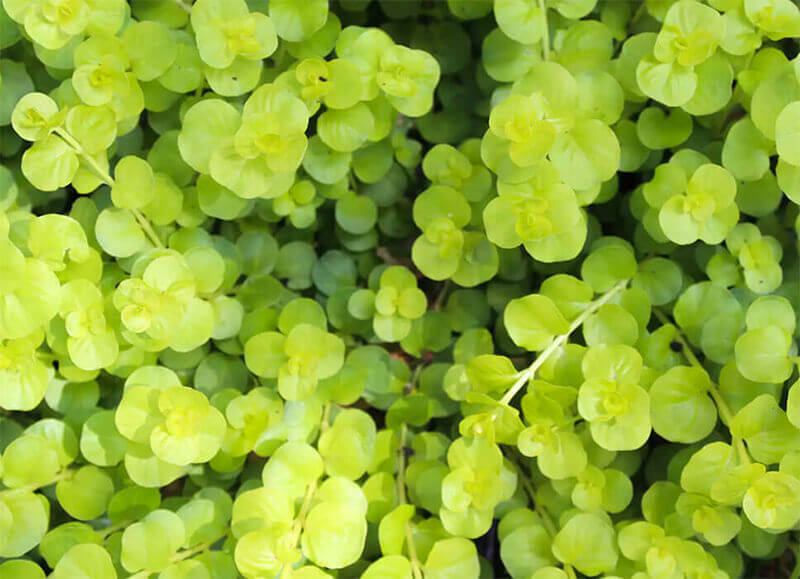 A close up of greenery. 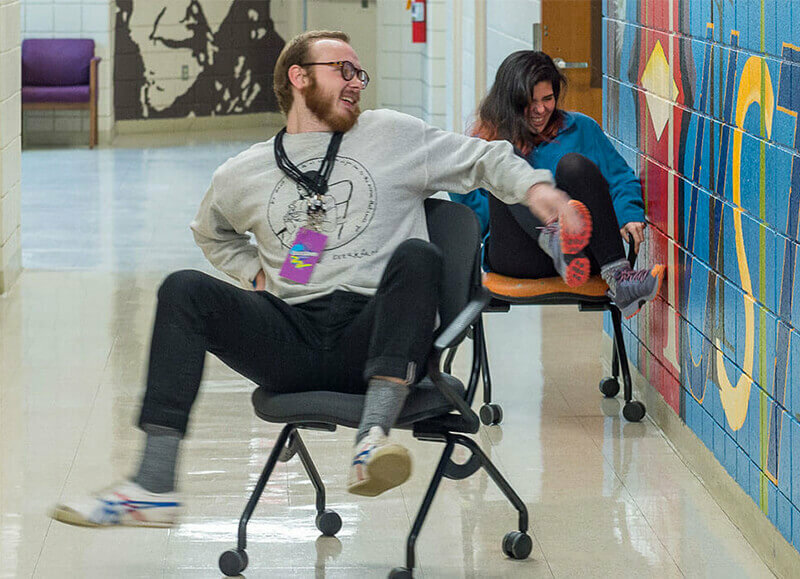 Students rolling on chairs down a hallway. 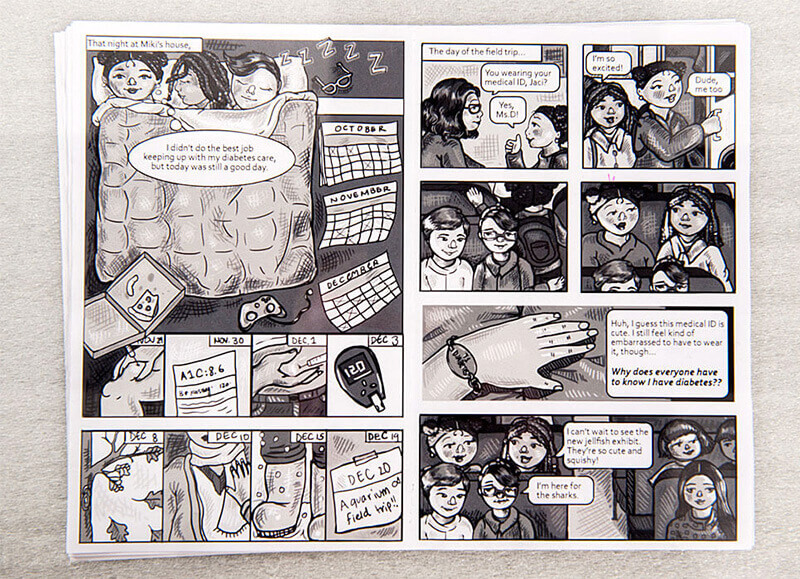 Close up of graphic novel interior page. Here is just a sampling of the places and events that make Richmond’s art scene so very vibrant. And where you find art in Richmond, you’ll likely find VCU students, faculty or alumni involved. VCU is home to great visual and performing arts venues. The Singleton Center contains a 500-seat concert hall, as well as a 257-seat theater and showcases VCUarts music performances and theater productions throughout the year. The ICA showcases a fresh slate of changing exhibitions, performances, films and special programs that encourage in-depth consideration of the central issues of our time. Juried student and M.F.A. thesis shows are exhibited in this historic building. This 225-seat theater is the primary performing venue for the Department of Dance and Choreography, but also frequently shows films. Many student recitals and ensemble performances are performed in the 300-seat recital hall of this renovated former church. This former streetcar station houses, among other things, the Arts Research Institute, which often showcases works produced by faculty that span the visual arts, performing arts and design. Home of the student-run Shafer Alliance Laboratory Theatre, this building contains rehearsal space and a 150-seat theater. Photo by Linda Hogan.